Solid oak floorboards with a lovely character. A few sound knots, face shakes (fine splits in the crown running with the grain), fillable defects, colour variations, some sapwood, slight imperfections but plenty of personality! 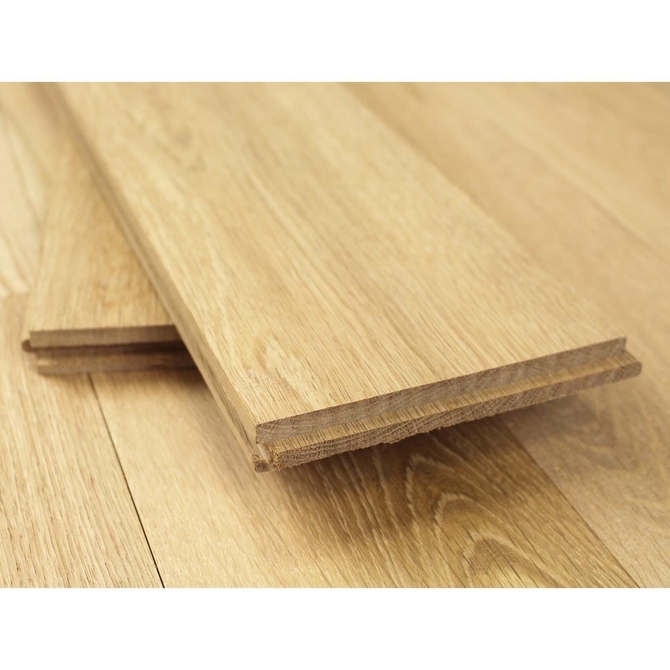 Our floorboards are supplied tongue and grooved all round (fully end matched). The floorboards have an exceptional planed finish (sanding is not normally necessary). They are ready to be finished in any way you choose!